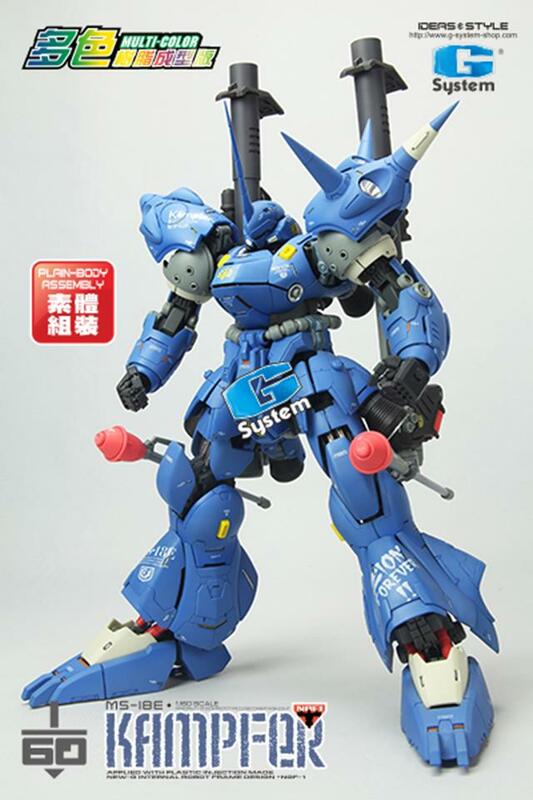 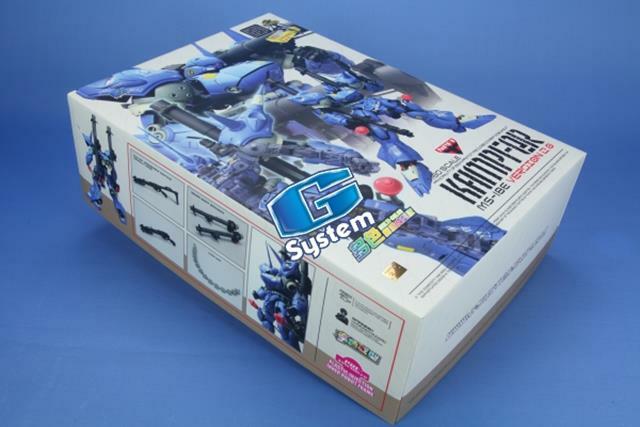 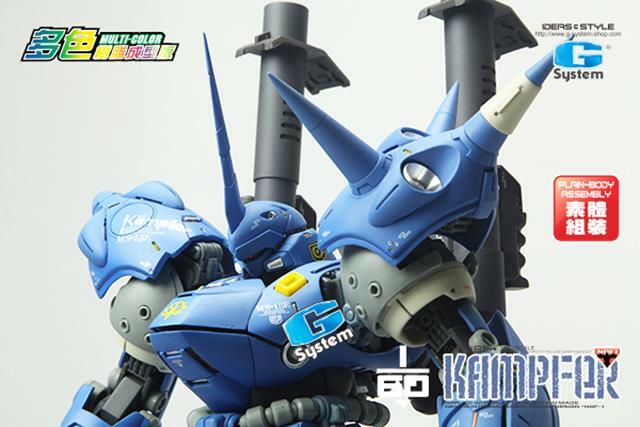 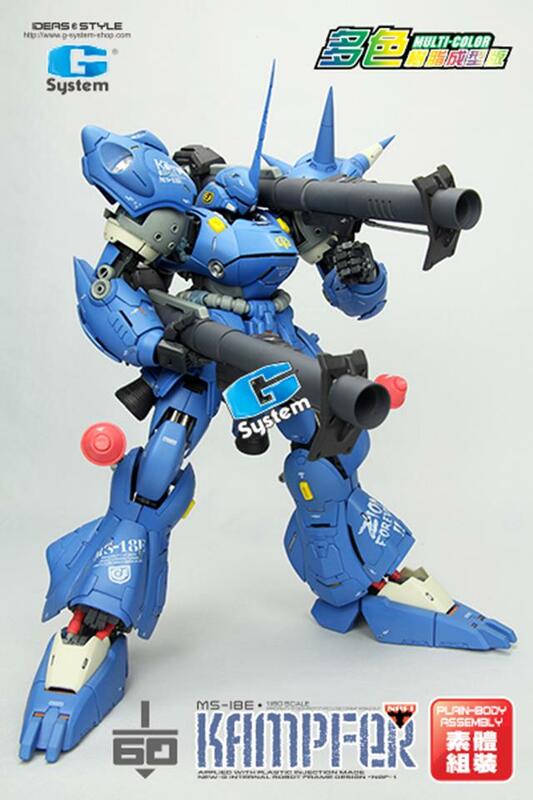 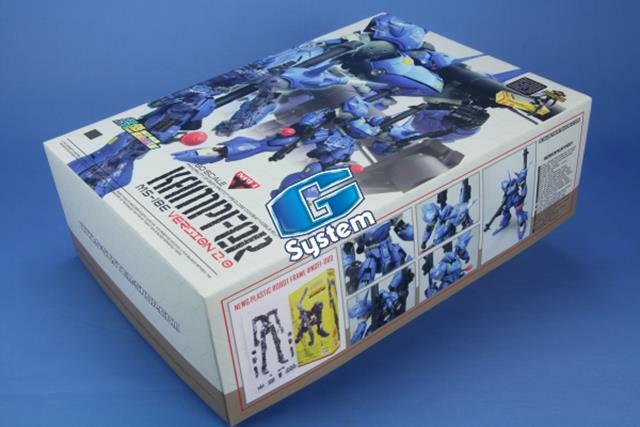 Here we show the open-box photos of G System 1/60 MS-18E Kampfer Version 2.0 [Multi-Color Version]. 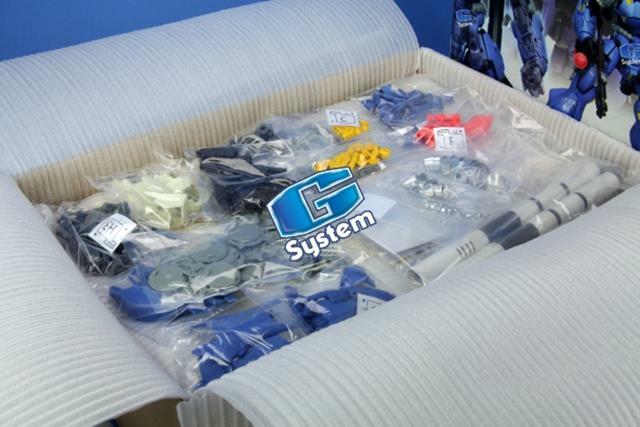 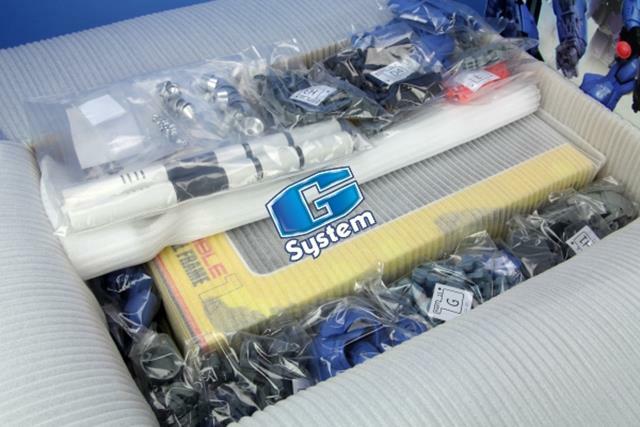 You can find what is the content inside a normal G system box. 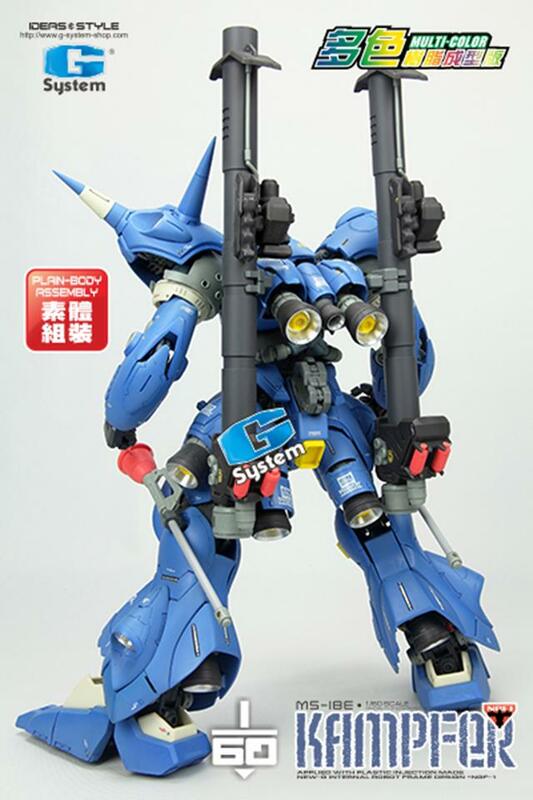 Besides, a pre-built inner frame body is included. 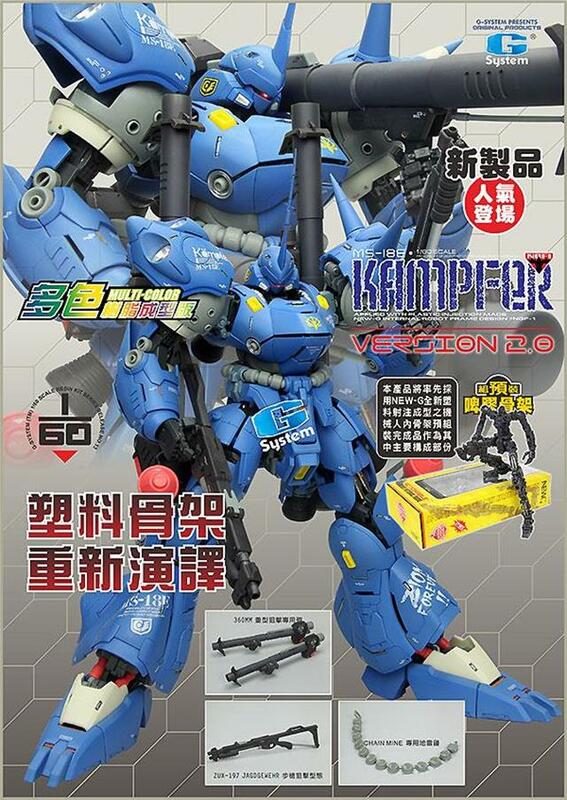 This can enhance the possibilities of MS-18E Kampfer.